The SeekOut Sourcing Assistant is a free extension for the Chrome browser that improves your ability to source candidates. When you have it installed, SeekOut will enhance any candidate searches you make on Google. The Sourcing Assistant also lets you save and organize candidate information you find on LinkedIn, get verified candidate email addresses and social links, export profile data to a spreadsheet, and get recommendations for new candidates. If you haven't already installed the SeekOut Sourcing Assistant, you can find it here in the Chrome Store. 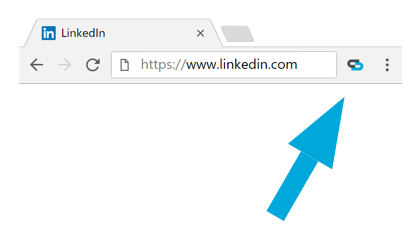 When you are viewing a profile you want to save, click the SeekOut icon in the Chrome toolbar to open the Sourcing Assistant. And any time you search for candidates in Google, we will automatically enhance the results with the candidate's photo, current company & title, location, educational background, and key skills. If you have the candidate in a SeekOut folder, you'll see that folder listed as well. What sources can I use with the SeekOut Sourcing Assistant? Currently, the SeekOut Sourcing Assistant works with profiles from LinkedIn and LinkedIn Recruiter. We are adding the ability to source from other profiles in the near future. How much does it cost to use the SeekOut Sourcing Assistant? What if I want contact information for more than 10 candidates per month? You can buy additional contact info credits or subscribe to a paid SeekOut plan. Tell me more about the AI-Powered Candidate Recommendations. After you've added candidates to a project, view that project on SeekOut to see recommendations of similar candidates. With each recommendation, you can choose to add them to the project or not. What else can SeekOut do? With a paid subscription to SeekOut, you can find great candidates with powerful search over more than 100 million candidates in the US. See everything SeekOut has to offer here. Am I going to get blocked by using the SeekOut Sourcing Assistant? No. The websites your visit cannot tell you have our Chrome Extension installed. Tell me more about privacy. We take your privacy very seriously. Learn more about Privacy and the SeekOut Sourcing Assistant.